The pantograph arcs measuring system measures and counts arcs generated by contact losses in the interaction between pantograph and overhead contact line according to the standard EN50317:2012. The quantification of pantograph arcs during the interaction between the pantograph and the overhead contact line is very important for assessment of the current collection. 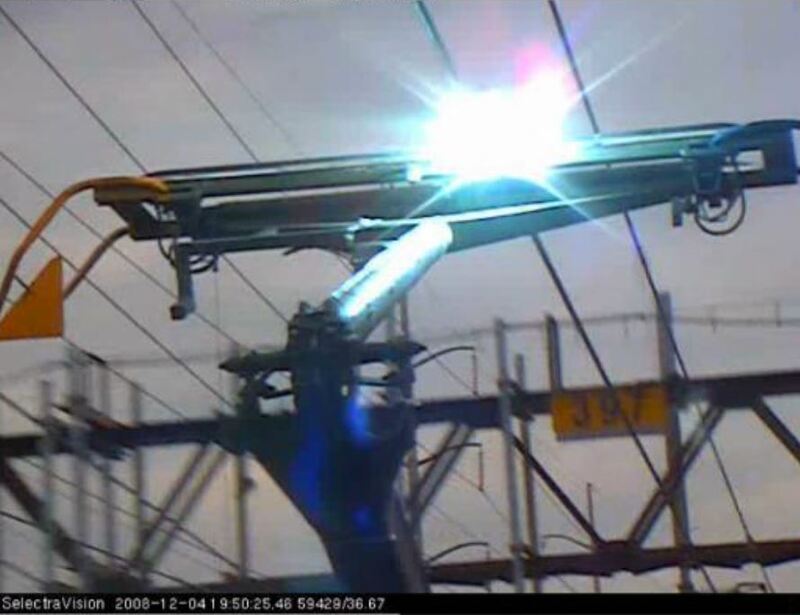 The pantograph arcs measurements can be related also to the geometric parameters of the overhead line. In the examples of the software below, the arcs measurements are synchronized to the height, stagger and wear of the overhead line (overhead line measuring system) in order to have a general idea of the state of the overhead line and its interaction with the pantograph.